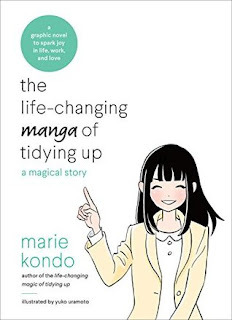 Blurb Description: From the #1 New York Times best-selling author and lifestyle/cleaning guru Marie Kondo, this graphic novelization brings Kondo's life-changing tidying method to life with the fun, quirky story of a woman who transforms her home, work, and love life using Kondo's advice and inspiration. I’m not what you would call a tidy person. I’m not a hoarder or a clutter-er either, but at any given point, my room which is where I spend most of my free time, is always a little messy. There’s no piles of clothes lying on the floor, nor junk trashed everywhere, but things do get messier than I would like and, on occasion, I find myself just going on a spree to clean everything up and then the whole process repeats itself. I wasn’t sure what this book was going to be about when a lovely publicist at Penguin Random House sent it my way, but it certainly seemed like something I could use in my life. 1. My first thought as I opened The Life Changing Manga of Tidying Up was about how BIZZARE it was that I was ACTUALLY reading a book that would teach me how to clean up. I was unsure if I would learn anything and a little weirded out that I was trying to. 2. One of the first things I noticed was how absolutely ADORABLE all the characters and illustrations were. It totally kept my attention through the entire book. 3. There was also a real story going on in the background, one with a girl who had a tendency to hoard and how a tidying instructor taught her not how to dump things and throw them away, but in finding the joy in small possessions and only keeping those. 4. The Life Changing Manga of Tidying Up definitely had some really interesting tops such as categorizing and tidying by OBJECT (like clothes) instead of by physical space, which actually helped me. 5. It also taught you the art of de-cluttering and how it isn’t about just throwing everything away, but instead finding the things that gave you JOY to keep around and only keeping those. 6. There were also a lot really well illustrated HOW TO parts to the book including how to fold different types of clothing that really MADE SENSE and isn’t how I would traditionally go it but definitely gave me the sense that I should try it out. Honestly, this book inspired me to go and clean up my own room. I only followed a few steps in this book but perhaps next time, I’ll actually declutter by finding joy as well. 3 stars. Are you a hoarder or a clutterer? 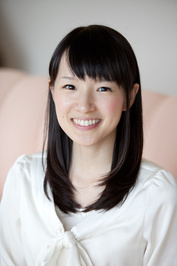 Have you heard of the KonMari Method before?